I think it's fair to say that Eightysix used to be the bad boy of Braddon. You know the type – tattooed, leather jacket-wearing, punk rocker that you would never take home to your mum. You're not entirely sure if you like him, but you always have fun when you hang out together. The original hipster restaurant ruffled feathers in its early days with its casual and irreverent attitude, unstructured share plate menu and sometimes overly comfortable service. Love it or hate it, everyone had an opinion about Eightysix. A lot has changed in the suburb but Eightysix is reassuringly familiar, almost disconcertingly so. The decor is the same, still current and on trend five years on. It's still a fun venue, abuzz with energy and packed to the brim; a place to see and be seen. Service has gotten better – casual, less familiar and a little more polished than before but still relaxed and informal. But something's missing and it's difficult to say exactly what that is. Maybe it's become predictable, settled down and lost that devil may care attitude it had in its youth. 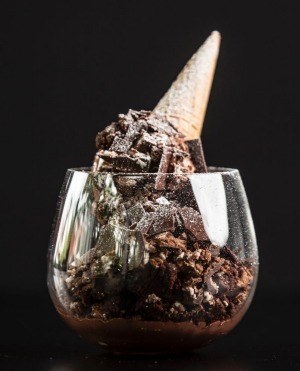 The tasting menu looks like good value at $75 for seven savoury dishes and two desserts, but I can't resist the temptation of luxury ingredients such as buffalo mozzarella and yellowfin tuna that feature on the a la carte menu. The wine list is the perfect size, varied and interesting with some good value local drops such as Collector's Pinot Meunier ($60) and international selections, a French shiraz-merlot ($13 by glass, $60 a bottle), for example. I have to have the salt and vinegar potato scallop ($4), mostly because I haven't stopped thinking about potato scallops since my colleague Bree Winchester went on her quest for Canberra's best ones a few months ago. This one is good; humming with the unmistakable buzz of vinegar, not terrifically crisp but still immensely moreish. 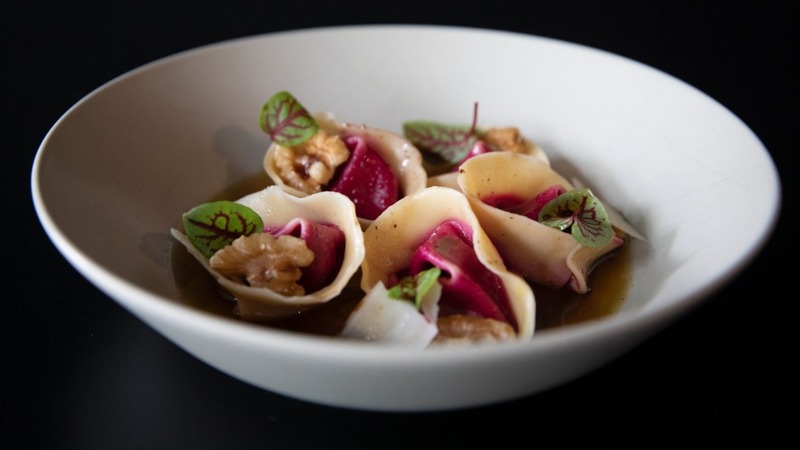 Beetroot and chevre tortellini with burnt butter ($34) is perfection on a plate. It is strikingly beautiful too – the deep read hue of beetroot almost begging to be eaten through the pasta. It's the type of dish that reminds me why I love eating out – subtle flavours, solid technique, and a generous amount of burnt butter always helps too, I guess. Heirloom tomato, pesto, buffalo mozzarella ($20) is exactly what it says. No surprises here, just simple, tried and true flavours and quality ingredients. It seems that a raw fish dish is a staple on every restaurant's menu this season, and here at Eightysix it is yellowfin and finger lime ($34). The overly generous use of capers, shallots and pickles distract slightly from the wonderfully fresh fish and caviar-like finger lime pearls. The South Asian curry leaf, snapper and green mango salad ($32) although interesting, doesn't fit with the rest of the menu's more Australian-Mediterranean flavours. 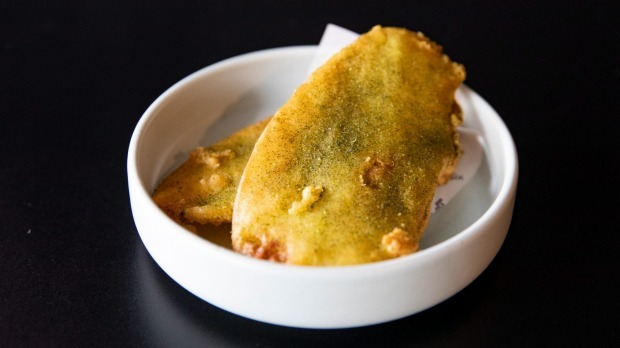 I think it's a carry-over from the Christine Manfield pop-up there a few nights ago, full of flavour and texture, finished with a light turmeric dressing and tiny nuggets of crunchy batter mixed through. I'm intrigued by what makes ghetto beef ($45) ghetto. I want to ask, but decide not to – it is one of the signature dishes here so I figure I'll just be surprised. Apparently, cutting a steak into cubes makes it ghetto. I'm never a fan of when a restaurant chooses to dice a perfectly cooked steak and scatter it across the plate, but Eightysix made its name from not caring what diners thought. What is disappointing is that the food is now a bit pop culture – lots of the same top hits from its early years and not much new material. Tropical fruits sorbet slice ($18) is another dish from the Christine Manfield pop-up. It's a simple dessert made up of layered fruit sorbet and a dacquoise layer – light, refreshing though not particularly finessed in this instance. The lines of sorbet aren't quite even and it looks quite home-style on the plate. 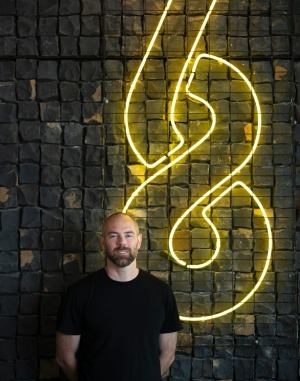 For a restaurant that set itself apart by being different, Eightysix has settled into a predictable same-same. That's okay I suppose, most bad boys settle down eventually. The food is now solid and dependable; sort of like the kind of man that your mother would want you to marry, which isn't bad at all.